"How do I tell cane toads apart from similar looking frogs?" is one of the most asked questions about frogs. 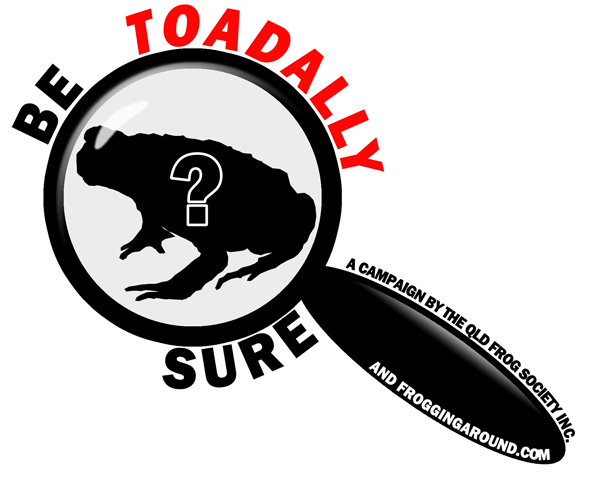 Therefore, this campaign and webpage is dedicated to equipping you with the knowledge you need to 'be toadally sure' if you have a Cane Toad or a native frog. 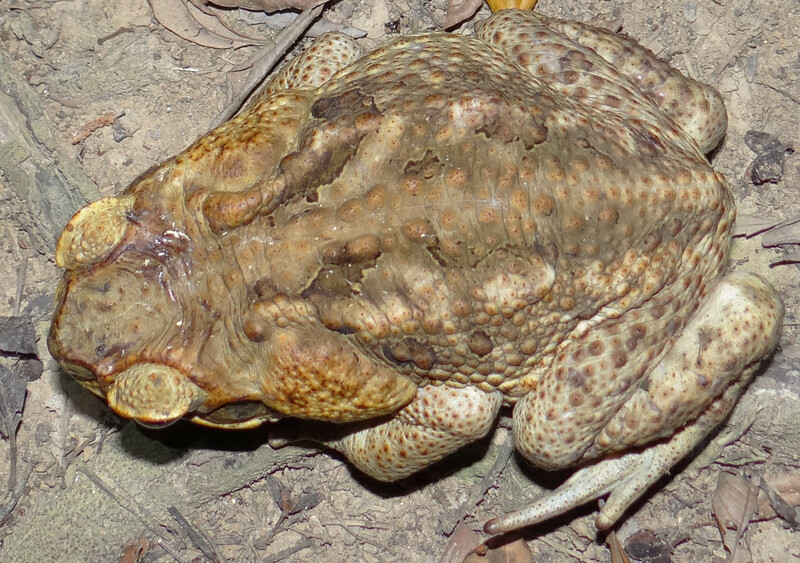 Australia has only once species of toad, the introduced cane toad (Rhinella marina), however there are also many frogs across Australia which do look like cane toads to the untrained eye. Use your mouse below to hover over the cane toad where the red points appear and read up on all the characteristic of the cane toad. 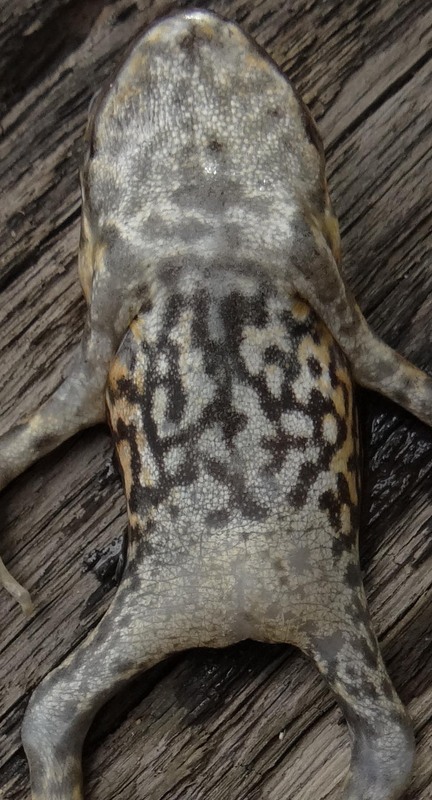 The aim of this is so next time you encounter something that looks like a cane toad, you can look for particular features to be sure of what its identity is. 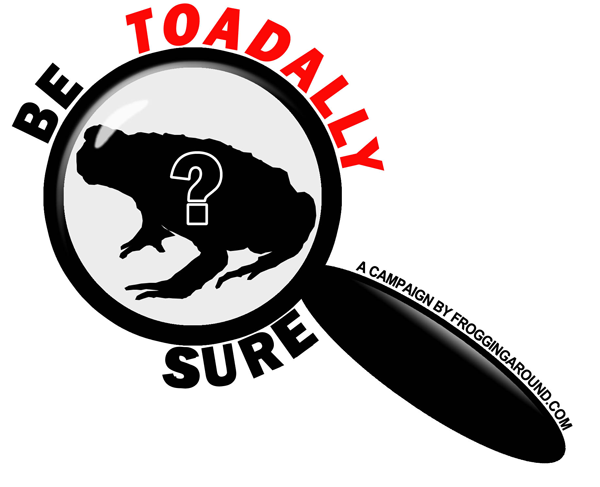 Be sure to check out this 'Be Toadally Sure' brochure on identifying Cane Toads, as well as using the interactive image below. Feel free to print and distribute. Special ackmowledgement must be given to the QLD Frog Society Inc for endorsing and funding this brochure, particularly to several Committee members and frog experts who contributed to numerous drafts of the brochure. The decision of what to do once you are totally sure you have found a cane toad is up to the individual. For those that do opt to dispose of cane toads, there are several methods considered as humane and acceptable. However, the simplest is to place the toad into a container and into the fridge for several hours, causing the toad to go to sleep. Then place the container into the freezer for several days. 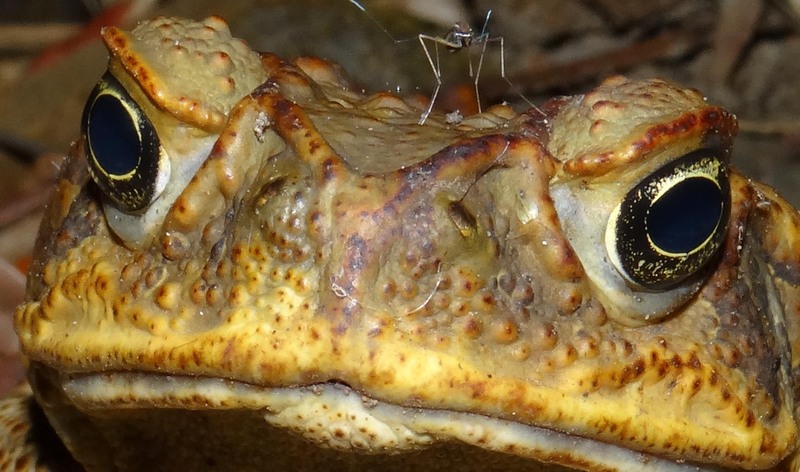 It must be stressed however that cane toads pose a far less serious threat to native frogs and other wildlife. Land clearing and urban development are far more threatening processes. Remember, it is cruel and inhumane to hit, kick, club, stab or spray Dettol onto toads as this causes unnecessary stress and a slow and painful death. Remember, 'be toadally sure'. If in doubt, leave it out!